Expand the strategies and interventions in your work with couples! Immerse yourself in the Gottman Methods & gain confidence using the techniques in your clinical work. 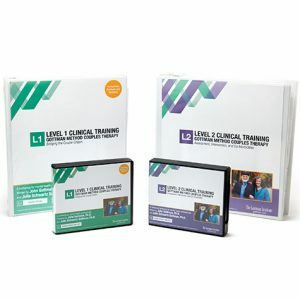 The Level 2 DVD Set features a 500+ page clinician’s manual and 13 DVDs. A filming of Drs. John and Julie Gottman presenting the 4-day Level 2 workshop, the DVDs work in tandem with the manual. They feature the full lectures, plus helpful role-plays and videos demonstrating Gottman Method Therapy. By deepening your understanding of the Gottman Method, the informative and engaging Level 2 set helps you more fully integrate assessment and interventions into your work. 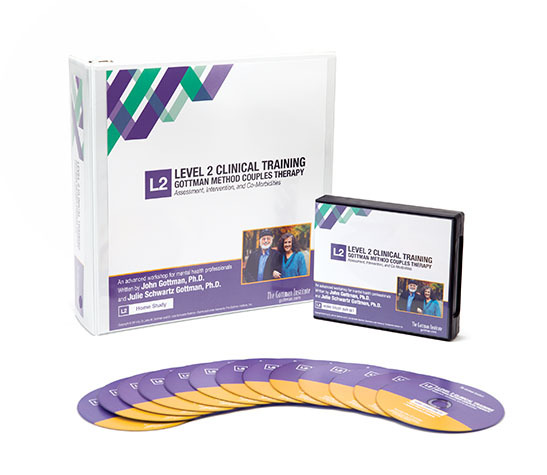 This DVD Set will give you the opportunity to practice and integrate Drs. 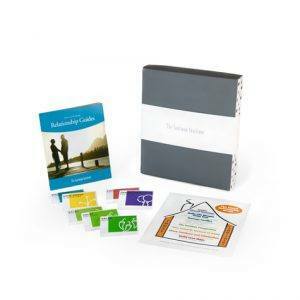 John and Julie Gottman’s Assessment and Intervention Methods. The goal of this training is to immerse you in the Gottman Methods to help you gain confidence in using the techniques in your own clinical work. Pre-Requisite: Level 1 DVD Set, Live Workshop, or Online Training. The Level 2 Training in Gottman Method Couples Therapy is now available as an on-demand, online course. Click here to enroll. This DVD course qualifies as a pre-requisite to Level 3.